The Indian private jet industry is the latest playground for the country’s wealthiest. Billions of dollars’ worth of new private aircraft have entered India over the past 10 years -- making it the ninth largest in the world, according to the International Air Transport Association (IATA). By 2026, it's expected to overtake the UK to become the third largest in the world. "The surge will take India from 18th globally (in terms of private jet numbers) to fourth. Intriguingly, the country boasts almost double (111) the amount of private jets than China, even though China has many more billionaires," writes William Stolerman at Luxury Insider, Asia's leading online luxury magazine. "Leading the private aviation revolution are the likes of the Ambani brothers, the Tatas, the Ruias' Essar Group, TVS, KP Singh's DLF, Gautam Thapar, the Jindals and Cyrus Poonawala." We meet Gulf stream, North American manufacturers of some of the world's most technologically advanced business-jet aircraft, on their recent visit to Mumbai. We imagine they know their game, since the United States accounts for over 50% of the global market at the moment and they have a 200-order backlog for the G650, Gulf stream's new flagship aircraft. In their briefcases, they're carrying information on eight models for sale in India. 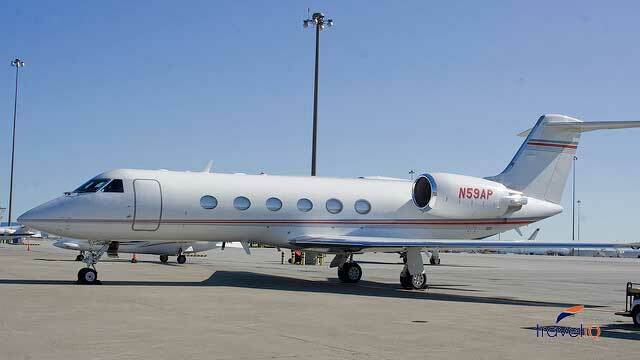 They begin with the mid-size, wide-cabin, high-speed Gulfstream G150, at approximately $1.1 million (Rs 71 crore), and go all the way to the ultra-large-cabin, ultra-long-range Gulfstream G650 -- the fastest, longest-range and largest purpose-built private aircraft in the world. Base price tag? Around $45 million (Rs 298 crore). Big deal. Those are digits Shah Rukh can generate in two films. Reliance Big Pictures is rumored to have bought the rights to SRK's "Don 2" for around $19.5 millon (Rs 125 crore), and there's talk that Eros International is buying Khan's home-production "Ra.One" for $27 million (Rs 175 crore). Add that together. $46.6 million (Rs 300 crore) is also about the amount telecaster Doordarshan will earn from ad sales in the 12 days of the Commonwealth Games telecast next week. There's money in India, and Gulfstream's fleet of business jets hopes to cater to every price point and mission requirement from 2,950 to 7,000 nautical miles. 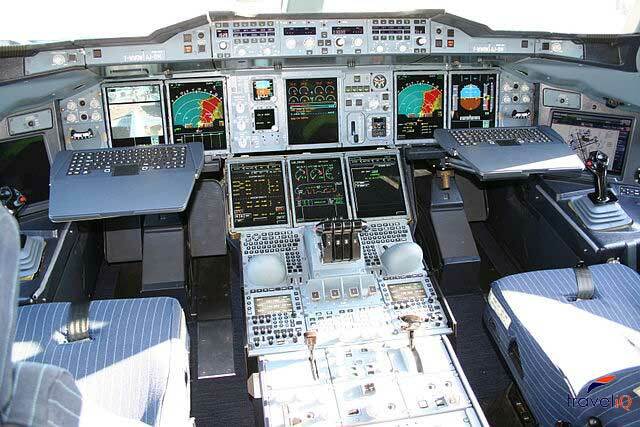 The G650 is the only traditional business jet capable of flying 7,000 nautical miles nonstop at a speed of Mach 0.995. The G550 is also a favorite with the "I'm kind of a big deal" corporate sorts, because it can accommodate 14 to 18 passengers, depending on the configuration. Design choices, contrary to what you would imagine, are various. Leather, fabrics, wood veneers, metallic finishes, as well as crystal, china and flatware -- at no extra cost. Customers have a lot of flexibility when it comes to the cabin layout as well. For example, they can choose whether to have the galley placed forward or aft; or whether to have a private stateroom in the back. Stateroom, did you say? How to Become IRCTC authorised travel agent.